The week between Rosh Hashanah and Yom Kippur is known as the Days of Awe. During this time, you’re supposed to go around to all the people you’ve wronged in the past year and apologize, so that you can start the new year with a clean slate, and more importantly, be inscribed in God’s Book of Life. 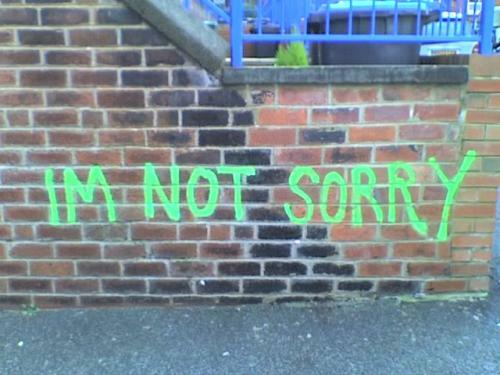 I’m not perfect — far from it — so I have a lot of people to apologize to before Yom Kippur begins tomorrow night at sunset. On the off-chance that I don’t get to speak with you individually, know that I’m sorry for whatever I did. It surprises me to say, but I think Yom Kippur may actually be one of my favorite holidays. How can anyone like a holiday that features as its main selling points a day-long fast and a whole lot of praying? Well, I don’t know. But this year, despite going 27-and-a-half hours without eating (yes, really), and doing so easily without even a headache after my mid-afternoon nap, I have to say, it really isn’t so bad. But why does it rank as one of my favorite? Well, it’s odd considering the solemn tone and the heavy subject matter and all, but Yom Kippur features some of my favorite prayers, ones we only say on that day. Stuff like the Vidui, the Covenant, all that good stuff. The tunes are catchy, the melodies are nice, and they’ve got some great harmonies. And we may go a while between meals, but the dinners before and after are some of the biggest, best meals all year. What could be bad about that? So, this is just my way of marking that the High Holidays have passed (at least the major ones have), and they were good.